1720 - Publication of G. F. Handel's first collection of Keyboard Suites, in London. 1785 - Birth of German composer Franz Gruber near Hochburg. Composer of Christmas hymn, Silent Night. 1882 - Debut of Gilbert and Sullivan's Iolanthe. 1898 - Debut of Rimsky-Korsakov's opera Mozart and Salieri. 1949 - Rudolph, the Red-Nosed Reindeer appeared on music charts. 1927 - Solo debut of violinist Yehudi Menuhin at age 11. Performed the Beethoven Violin Concerto with New York Symphony Society Orchestra. 1953 - Guys & Dolls closed at 46th St Theater in New York City after 1200 performances. 1960 - Amy Grant, US gospel/rock singer, was born. 2001 - Garth Brooks went to No.1 on the US album chart with Scarecrow. In 1709 Pisendel left to go to Leipzig. It was a life-changing decision. On the way to Leipzig, he passed through Weimar, where he met Johann Sebastian Bach, who was in service there. At this time Pisendel received a copy of Telemann's G major concerto for two violins. Shortly after his arrival in Leipzig, Pisendel met Georg Phillip Telemann. The two developed a lifelong friendship, as well as a strong professional relationship. It seems that Telemann sent works directly to Pisendel for some time. It is likely that his concerto for two violins in E minor was performed in Dresden as early as 1710 due to Pisendel's influence. Pisendel is known to have performed a violin concerto by Albinoni with the collegium musicum at this time, and he began to play regularly with the group. In 1711 Pisendel travelled to Darmstadt where he took part in a performance of Graupner's opera Telemach. He was offered a position there, but declined. Pisendel's stay in Venice enabled him to study with Antonio Vivaldi, with whom he became friends. He also studied with Montanari in Rome. He re-visited Venice in 1717 and renewed his friendship and study with Vivaldi. 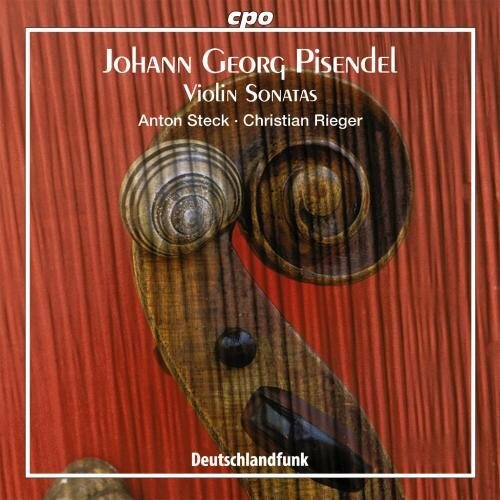 Johann Georg Pisendel was born on the December 26, 1687 in Cadolzburg where his father was Cantor. He started music lessons early. By the time he was 10 he had joined the Ansbach court chapel as a chorister, being blessed with a clear soprano voice. His musical talent was obvious, and he was very good at languages, which proved helpful in his later travels. By age sixteen he was a violinist in the court orchestra and studying violin with Torelli. He held this post 5 years. You may know Dasher and Dancer, and the others mentioned as we go through the Christmas song we've all heard, but do you recall Rudolph the Red Nosed Reindeer. He was created as a promotional gimmick for a large department store. Can You Guess what that store might be? It was Montgomery Ward. Did you see the color clues? While in Venice Pisendel collected many manuscripts of the latest works of many composers, particularly those of Vivaldi. Pisendel is believed to have shown Johann Sebastian Bach a sonata of his composition in A minor for unaccompanied violin following his Venetian trip which, it has been claimed, was the model for Bach's sonatas and partitas for solo violin. After 1718, Pisendel's trips abroad became less frequent. He became a composition student of Johann David Heinichen. Due to his orchestral duties he did not have a great deal of time to compose, but he still managed to produce seven violin concertos and several sonatas for solo violin. 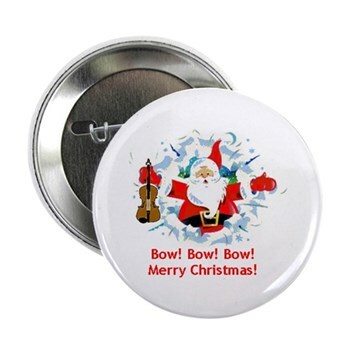 His acquaintance with so many influential composers ensured that his orchestra never lacked for original material. His being the leading German violinist of the time also resulted in Vivaldi,Telemann and Albinoni dedicating violin concertos to him. Pisendel's musical influence was not limited to performanance and compostion. He also established a living legacy through his teaching, his most famous pupils being Franz Benda and Johann Gottleib Graun. 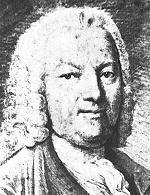 Pisendel died November 25, 1755 in Dresden, Germany. Upon his death, his friend Telemann wrote an ode in his honor.